Have you seen Helen’s post from last week? 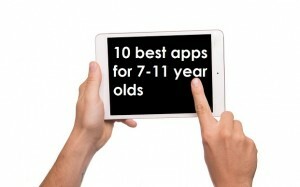 Our Top 10 apps for 4-7 year olds. It has certainly proved to be very popular! We were going to save this post looking at apps for 7-11 year olds for later in the year, but as it is obviously a popular topic, we thought we would post it this week. If you are working with older children, it is still a good idea to look at last week’s list. There are a number of apps on there that are still great for older children. I have a number of 8 and 9 year olds who still love the My First Apps games. 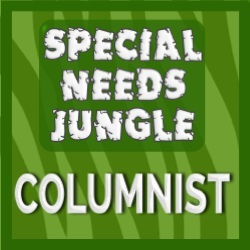 I have used Key Word Kids with children up to the age of 10. Also the speech apps are still appropriate for older children. So here are 10 more apps to target speech and language skills! Odd one out by Lucky Gecko. Lucky Gecko make a few great vocabulary apps. This app is currently £1.99. The child is presented with 4 words and they have to decide which is the odd one out. This app uses some tricky vocabulary so I find it provides the opportunity to talk about the words and their meanings. Describe It by Pocket SLP. Again this company makes a number of great apps. I find ‘describe it’ really useful for working on semantic and vocabulary skills. You can pick a category and then there are are few games to play. I use the ‘guess it’ game where you hear a number of auditory clues and then have to guess what the item is. This app is currently £2.99. Story cubes currently £1.49 with additional in app purchases. Many speech therapists will know the physical resource, Rory’s story cubes, and now there’s an app! There are different packs of dice which have story element pictures on. You then shake the ipad to make them jumble up and you then have to rearrange them to tell a story. Great for narrative skills, sequencing and logical thinking. Simple minds+ This is actually a mind mapping or brainstorming app, but I find it really useful to help record and sequence ideas with older children. 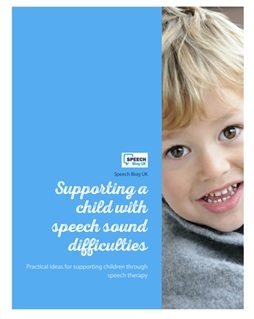 It’s great for children who need to rehearse and plan what they want to say before they write it. You can type ideas in the bubbles and then move them around and sequence them later. There is a lite version which is free and then a full version with more variation at £3.99. With the full version you have more colour options and can save and email the maps you create. Talk about it: Objects This app targets the skill of identifying the key or most important piece of information about an object; something that many children with language difficulties finds hard. It also supports explanation and description skills. The lite version is currently £2.29 and the full version is £4.49. Following instructions from Ican do apps. Currently £2.29. Ican do apps make lots of great apps. This app supports understanding of instructions. The first 2 levels are quite simple, but the third level has instructions containing before, level 4 has instructions with after and level 5 has instructions with both before and after! These are key concepts that we often work on with older children. Language Forest. Another app by Pocket SLP. This app can support a wide range of speech and language skills – wh questions, synonyms, antonyms, irregular past tenses, emotions – to name just a few. It does require some pre-planning as you have to download the packs you want for the child whilst you have internet connection! This app is £10.99. Winning words: Synonym match. This is really hard – I have to concentrate when I play it!! It a simple pairs game but you have to match synonyms (words that mean the same or similar). This is great for children from about 10 up who need to improve their vocabulary. In the easy level, you have words like leave/ exit, clever/ smart – not too bad! On the hard level you have words like compulsory/ obligatory, fickle/ capricious. I know I also worked on dictionary skills when I played this game with one young lady – so we practised looking up words we didn’t know!! This is a free app and there are other similar one by Winning Words so take a look at those too. As with the last list, these are all Apple apps. Some are also available on Android or other systems, but you will need to check. We have again made a handout of these in case it is useful to you – you can find it on the Freebies page or download it here. What other apps do use use with Junior and Secondary aged children? I think doing an app recommendation in January is a great idea – we had tablets from Father Christmas this year and I know lots of us mums are wary of filling them with junk when we want them to help educationally too. Thank you! Very good point! Glad you found the posts useful.